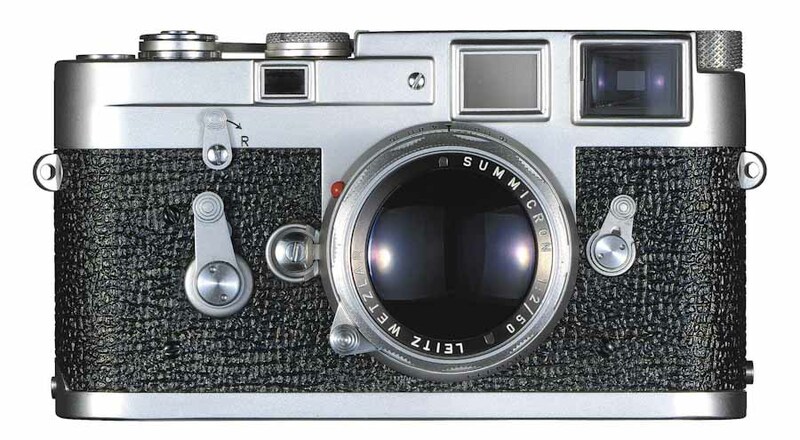 My first Leica was an M8, which is not anikon…. but there was not a great deal of improvement at the end of the year… Light judgement and British light are not easy bedfellows when one has been using built in light meters for a life time! Bought an M6, slight improvement on M2, 0.85 viewfinder which I liked… Traffic light system which I did not like…. During this time I bought an M-P 240, and I realise that I like the mod cons, I like aperture priority, and I like a light meter. Currently still have the M-P, but also have an M5, the match needle system, the decent light meter have proved to be very user friendly to my eye, and I love it… I also have a couple of old Olympus compact cameras…. The XA and the mjuII, which are fantastic little things. It is possible that I might sell the M-P, I have thoughts about the T camera to accompany my M5, which is going nowhere! This would give me a holiday camera with a handy top quality zoom lens, with the ability to use my M lenses as well, and a lot of cash for some more lenses. Many thanks for your continuing articles, which are some of the best and most whimsical out there! Fantastic piece. I’m privileged to have an M2, M4, and an M5. I mostly shoot black and white, so it’s great to have a dedicated camera body for slow, medium, and fast film films. The M4 really does feel the most sorted camera. It’s quicker than the M2 to load and unload. But I do like the uncluttered viewfinder of the M2. And the M5 feels overbuilt (in a good way) and very capable. The light meter is extremely accurate. Ultimately I struggle to have a favourite camera between the three of them. Whichever one happens to be in my hand, I know that if I don’t get the shot, it’s my fault, not that of the camera. And any M is simply a pleasure to shoot with. Agree with the previous poster – your site is always interesting and thought provoking. Please keep up the great work! I love these kind of reads! I entered the world of Leica film photography with a secondhand 1958 M2 in beautiful condition. It had probably sat on a shelf most of its life and so needed a service. It works well now and was accompanied by a Sekonic battery-free light meter. I couldn’t do without a 35mm lens which is why my pre-Leica-purchase-research led me to the M2. One thing I’m not too happy about, as a glasses wearer, is the metal eyepiece and so I bought the diopter to suit my prescription. Whilst this solves the glasses scratching aspect I keep forgetting to lift my glasses each time I raise the camera to my eye. I’ve since abandoned the diopter idea. Nevertheless, the M2 did its job of seducing me into the Leica experience and so was soon followed by a beautiful Leica M-A in black chrome finish. I still have the M2 and cannot bear to sell it but the one I love most is my M-A. Completely agree with you on the M4. It is the pinnacle of the M design. The viewfinder is great, better than my MP. The MP is, I think, what the M6 should have been. It’s a solid camera, and the meter in it is really great. It’s the camera I reach for most often. I also have a M7, which I try to love, but I just don’t get the Leica magic from it. Plus, the shutter speed dial turns the wrong way! A couple of thoughts on the M3: if you prefer the 50mm or 90mm approach to most of your photography, as I do, then the M3 viewfinder is superior. It allows using both eyes, like the old SBOOI finder did with the IIIf – that’s really good for certain types of work, I find. 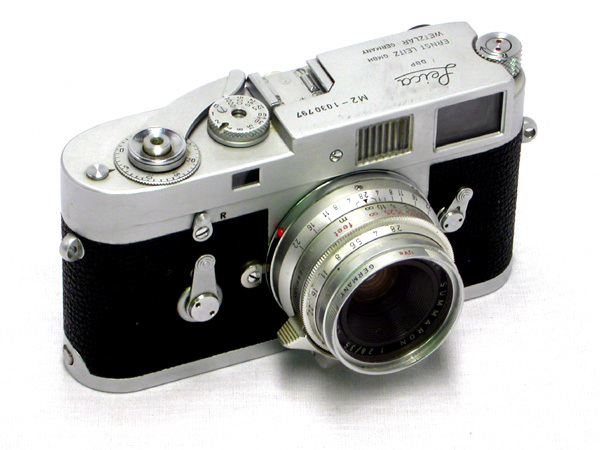 Also, the M3 rangefinder is of different design than the later .72 finders, and somewhat more tenacious of adjustment (I have been told by repair guys and in my experience). That said, I have used and own an M4, M4-2, and an M5. All really fine cameras, and all also get a lot of work. Little to choose among them, except obviously for the meter and design differences of the M5, both of which are not in the least objectionable to me. As an aside, while the M4 (chrome) is in my opinion the most pleasing in appearance, hands down, the M4-2 is every bit as well built and enduring as its predecessor. I’ve owned and heavily used mine, around the world literally, since I bought it new in 1980. It had one CLA by Don Goldberg about 10 years ago, and continues to perform flawlessly (if only the operator did). I know the M3, M4, and M5 have brass gears and are just a bit smoother, but there has been no indication of wear with the steel drive gears of the M4-2 and the smoothness factor is, to me at least, insignificant. The M3 is fabulous. I used one for 25 years. But mine once suffered from the viewfinder blackout caused by delaminating Canada balsam. It was repaired by PCS in New York (long closed). 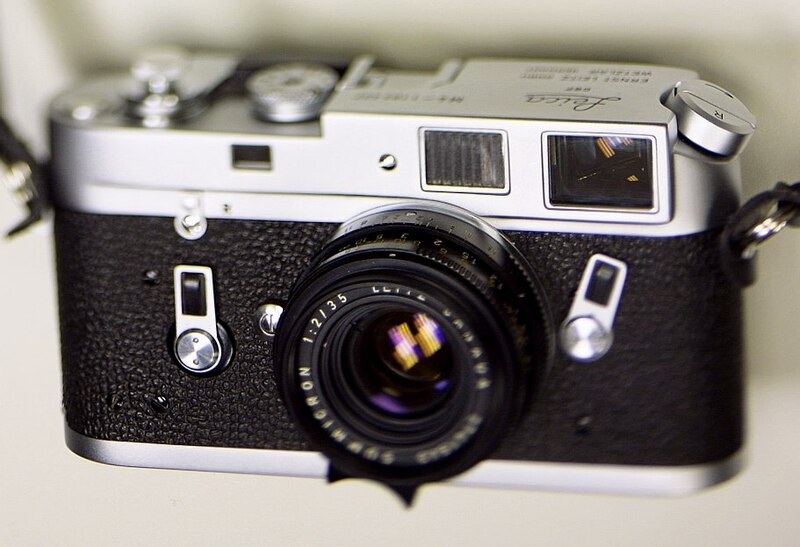 I have read that many M3s are subject to that issue, so beware if you buy an M3 with original finder. Look into it from the front and check for a crazed line pattern. I now use a 1962-vintage M2. And this is an odd one: it has the 35-50-90-135 finder frames. Well, I opted for the M7 for my entry in to the Leica system. I liked the larger shutter speed dial and the option to shoot in aperture-priority metering, which is useful when dealing with the hugely variable light in the old city here. At the time, my M7 was cheaper than almost any other option in comparable condition. My biggest issue is the lack of eye relief for glasses wearers, which makes it difficult for me to see the entire frame with a 35mm lens. Fortunately I am mainly a 50mm shooter. It is a tough one. 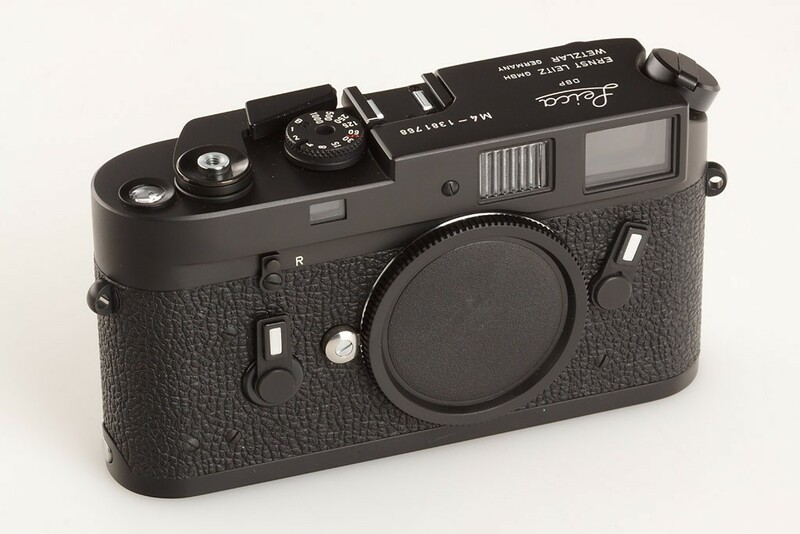 I have blathered on a bit about Leica M, film rangefinders. In fact I love all of them. I own, and use, M2, M3, M5 (2), M7. My M3 was the first Leica RF purchased. I bought it with a 50mm 1.5 Summarit for a price to good to pass. At the time of purchase the RF was misaligned vertically, but allowed accurate focus in horizontal. It taught me that I loved the RF concept enough to pursue it further and sent it off for repair. After a six month wait, with no sign it would be back any time soon, I found an M2 and began using it. When M3 finally reappeared, it went in the drawer….and stayed there for two years. Then, about two weeks ago, I purchased a 50 summicron DR complete with close-up ocular. I decided to put this lens on the M3. It has only been two weeks but I have since shot and developed three rolls of film. I am in love with the combination. I would say that, together, the lens and camera make me faster and more accurate than with any other Leica M/lens combination. I look through the viewfinders on M2 and M3 and comprehend the advantages, related to frame lines, of the M2; however, in consideration of just the rangefinder patch, the M3 seems superior in both size and contrast. They are all good. Having the two weeks I have had with the M3 and 50 DR, I would not hesitate to recommend the combination as the best way for a Leica newbie to introduce him/herself to the system. Love my M4-Ps hot shoe. 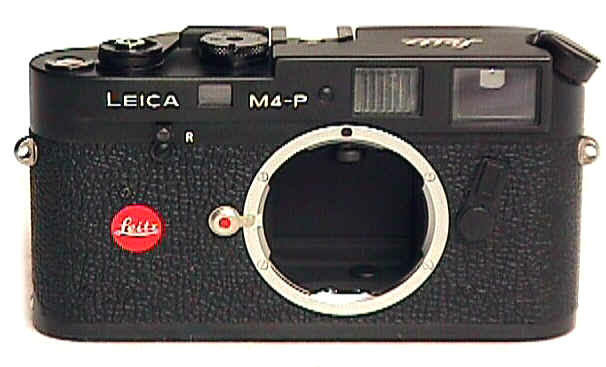 I recently went for an M4-2 as my re-entry into film and re-entry into Leica. Didn’t click before, but with photography and I generally clicking again together as an engaging avocation for the first time in a long, long time, desire to shoot B&W film with contrast filters and all the trimmings drove me here. 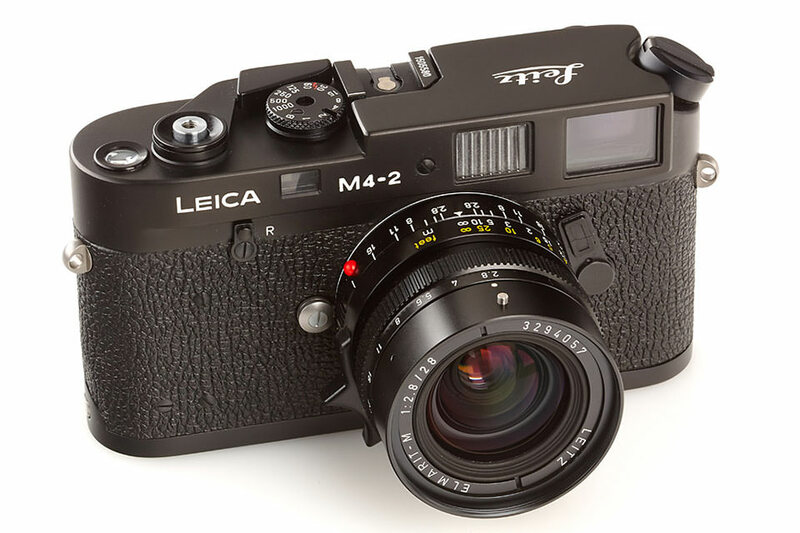 Greatest result of the M4-2’s pariah status is that it’s a easy way to give a Leica M a try. Add some Zeiss ZM glass or 1980’s Leica glass, and the damage isn’t close to the ridiculous rep often foisted on Leica as the rich man’s fob. Doesn’t have to be! And the great thing about the M4-2 is that its an all black, incognito, anti-snob snob device. Yes, it’s still a Leica, but hey, most people don’t know what that is any more as I’ve discovered, so my hang ups are… well… my hang ups. Thank you! Takes great pictures! and compared to digital, a walk with an all-manual Leica will seem like the first taste of freedom after a long stretch in digital Alcatraz. That happened in February. Since then, I’ve sent the camera off to Youxin for replacement windows and a flare-free kit, and have picked up an M6 TTL… for “when I’m in my red mood…” and actually want a meter. But I’d never have picked up either camera if there hadn’t been a less pricey, anti-snob way in for a snob like me. The M4-2’s status as “Black sheep of the Family” (and it really is black) turned it into just the right ticket. And FWIW’ the immense joy found in these little boxes has led me into the darkroom and all the magic that brings. Truth be told, digital’s now become a “Oh… I guess I’ll have to shoot the Sony for this…”. But we’ll see how much longer that runs… So if you’re open to it, let me suggest that If Leica and an M4-2 can soften even a hardened, anti-Leica man’s heart who thinks he’s “been there, done that”, there just might be more magic in that “ugly duckling” than you think. Great stuff, James. I like your style! Be proud of your M4-2. I’m an M5 lover, so I can appreciate standing up for the black-sheep models. It’s all relative, of course: the most generically made Leica is still of better quality and possessing of that certain je ne sais quoi particular to Leicas than are 99% of the alternatives. And welcome to the world of film photography.